So, I was in need of a command line client for Hacker News and have been playing with Golang for some time. 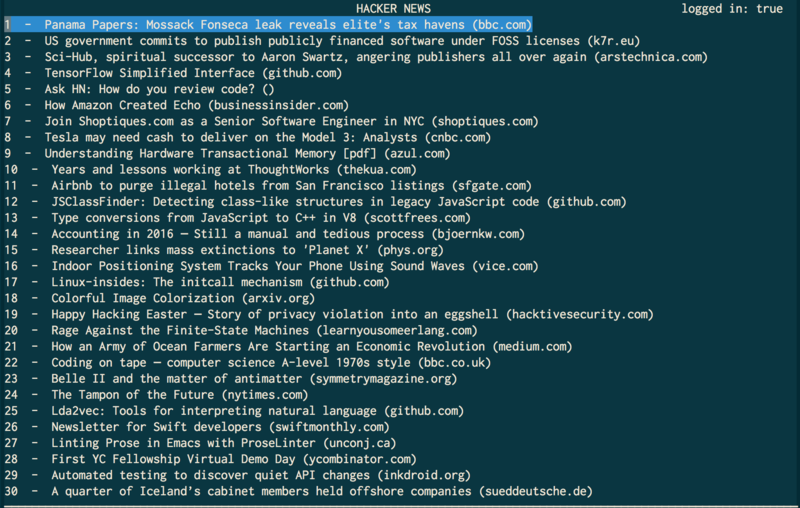 This weekend, I finally got some spare time and I hacked together a command line client for HackerNews in Golang. The project lives at gitlab. Its a quick hack and is in no way polished. Currently supports logging in, upvoting, opening an item, navigating to next/prev page. Will work on it, as and when I get some spare time.